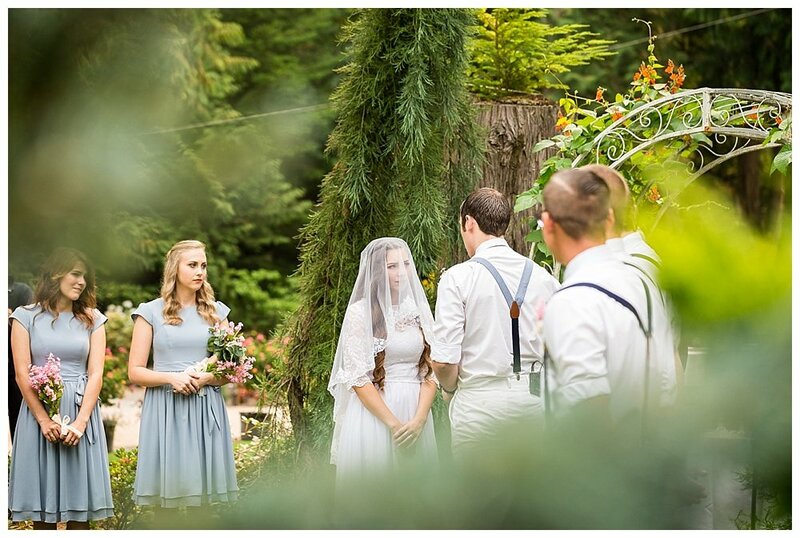 Hey friends, I finally, finally have permission to share photos and a video of Tilly and Jared’s wedding. I am also going to share my Artsy Couture album review because, well, I am taking a beautiful album to them. 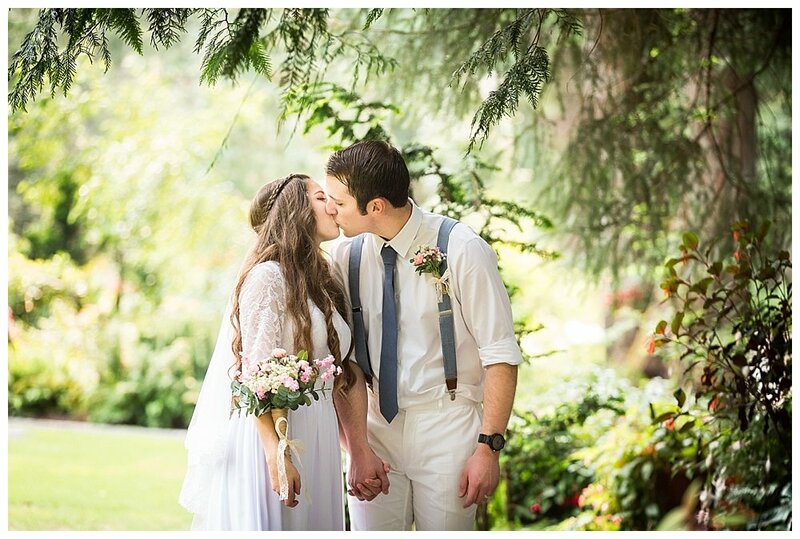 Tilly and Jared were married at Glen Echo Garden, a beautiful botanical garden just down the road from us. They were married in August and the weather was perfect. Sunny and warm but not too hot. 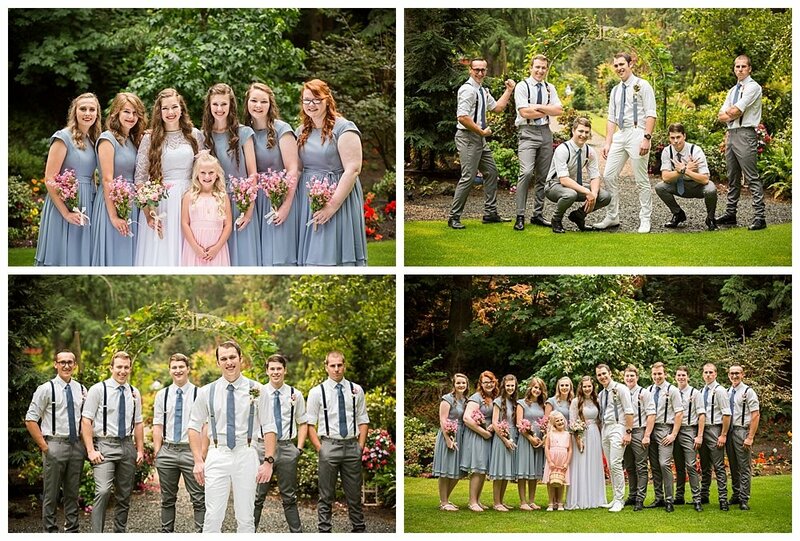 These photos were taken by my friend, Kim Gasper, who just happens to be a wonderfully talented wedding photographer. I’m not gonna lie, I was so happy when Tilly chose Kim to be her photographer. I am a huge fan of Kim’s work and knew she would do a wonderful job. I really loved how different Adalia and Tilly’s weddings were from each other. Adalia is quirky, a wild adventure and a bit of free spirit. I mean, hey, she chose to a marry an equally wild and crazy Ferrier and blacksmith from New Zealand. Her wedding definitely reflected that. Tilly? She is quiet and conservative. And she chose to marry an accountant. Her wedding was much more traditional. 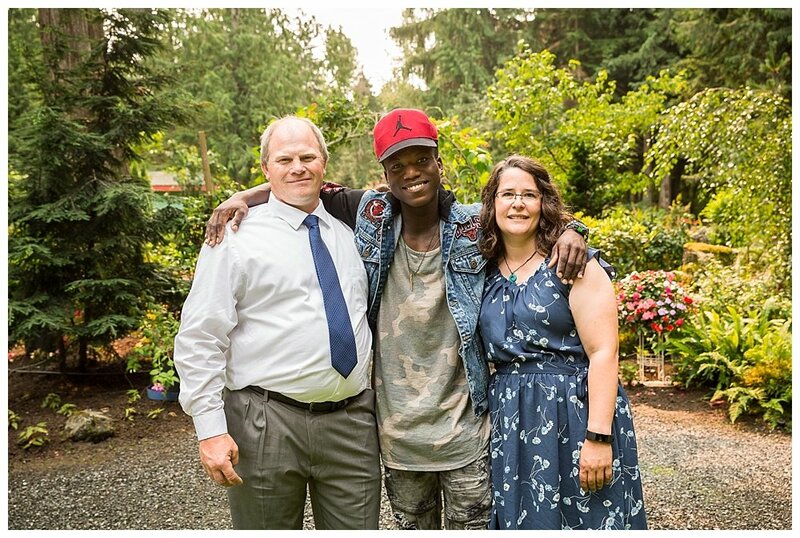 We were thrilled that Boaz made the long drive up to the wedding. 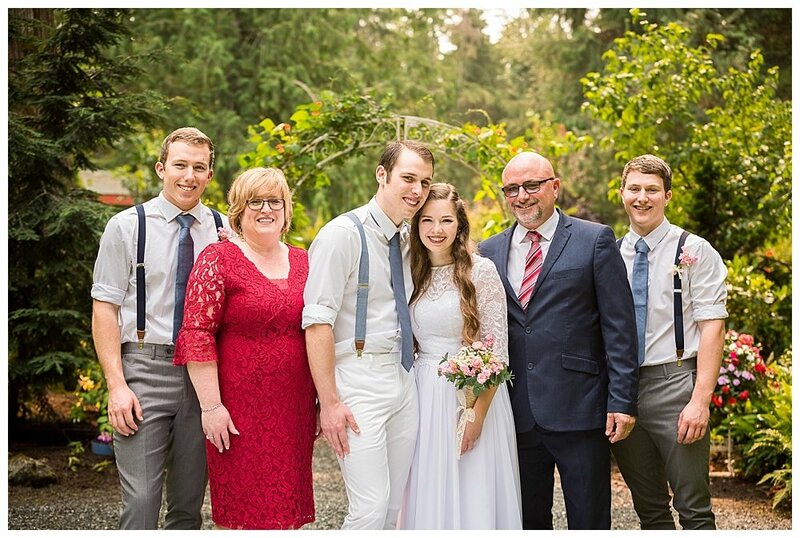 This is Jared’s family (minus one brother who couldn’t make it to the wedding). See those handsome guys? They are single, ladies! When Ben and Adalia got married I ordered an album of the many, many pictures I had taken of the two of them together. I planned to do the same for Tilly and Jared. While I had fewer pictures of those two together I did have our celebration photos from IHOP (this the post where Jared made his first appearance on the blog) and the official engagement photos I took. Just as I was gathering photos together and preparing to order an album I got an email from Cate at Artsy Couture asking if I was interested in reviewing one of their albums. The timing could not have been more perfect. Cate made the process brilliantly easy. 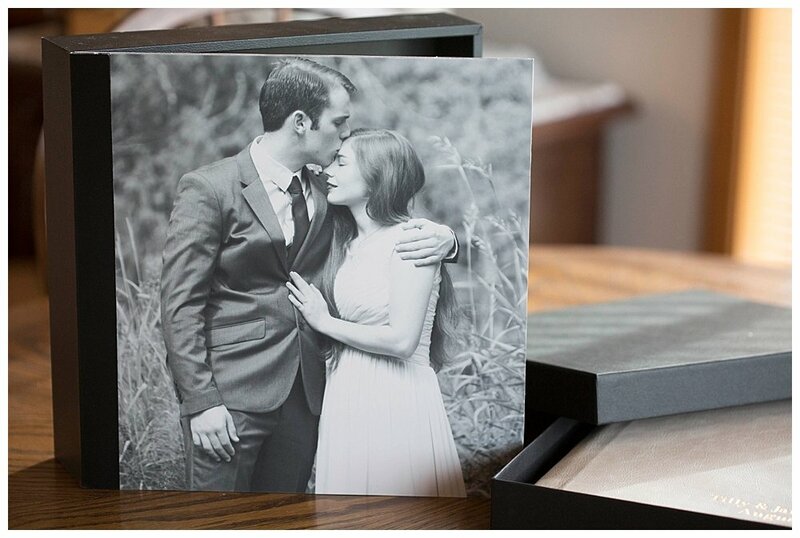 I sent her 20 of my favorite photos and the details I wanted to be printed on the cover of the album (names and wedding date). Cate did the rest. The cover is beautiful leather with names and date embossed on the front. The pages are thick and durable. This album comes in a 10×10 or 12×12 size. Normally when ordering albums I avoid any spreads that will have a photo covering two pages because of the unsightly seam. 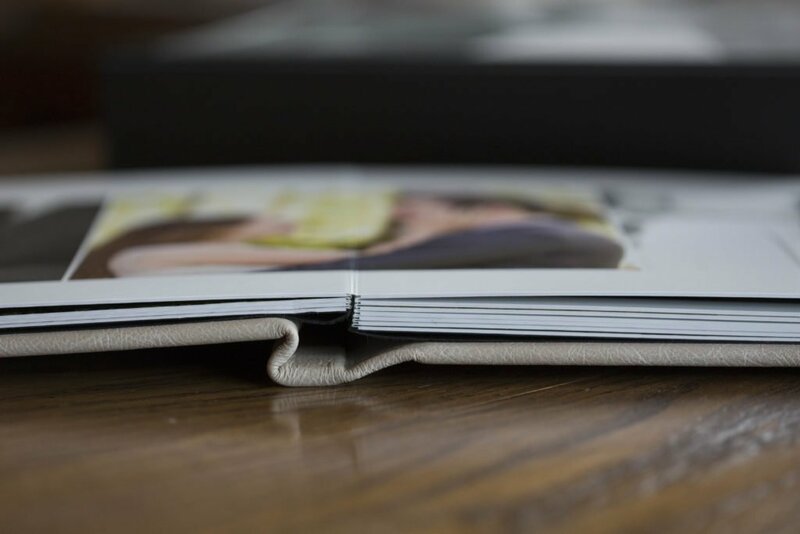 This Artsy Couture album has lay flat pages that are nearly seamless. 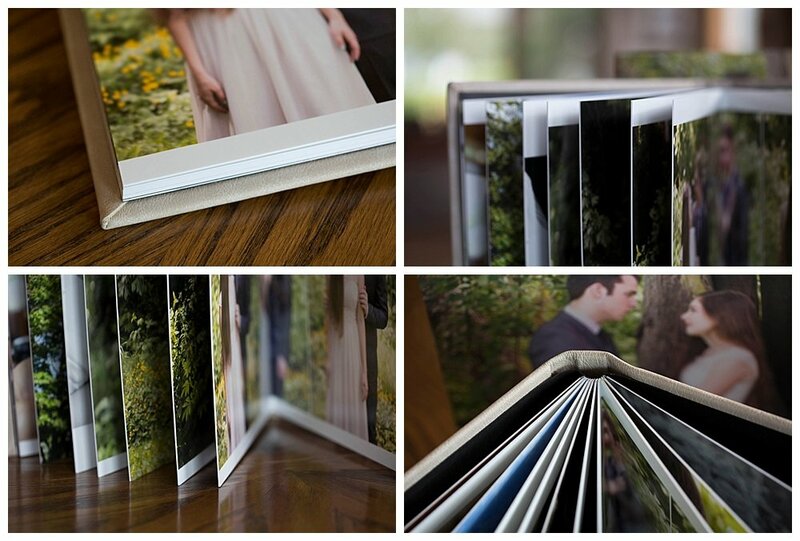 The lay flat design makes the album more and the seams were done beautifully, not interfering with the photos. The presentation of the album is stunning. 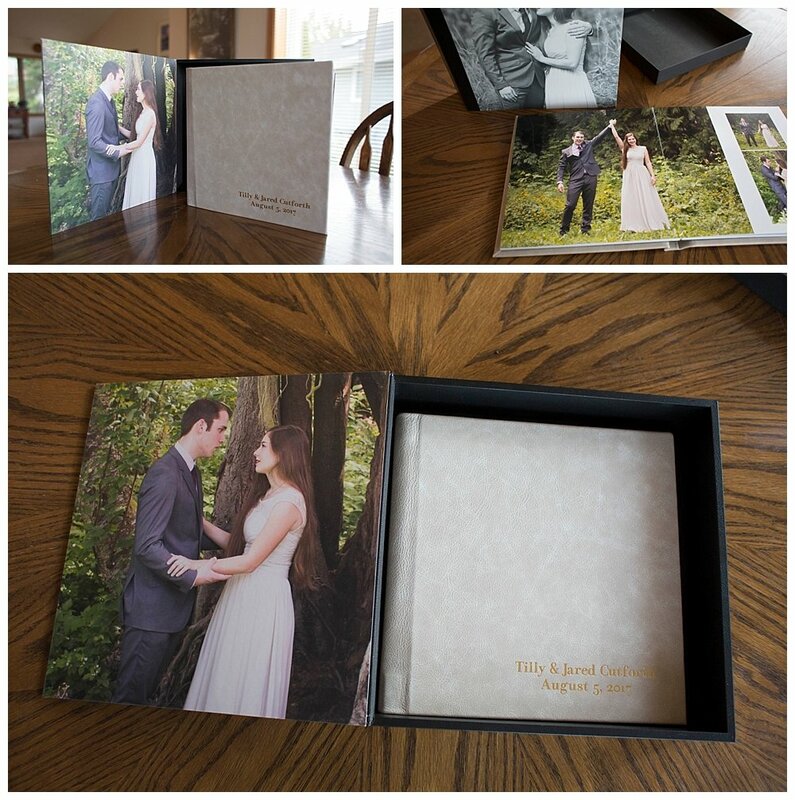 The album comes enclosed in a box with a mounted photo on front and back of the cover. Both of these photos are quality pieces of art in and of themselves. Artsy Couture is a full-service, boutique photo lab offering an array of premium and innovative products. They started out in a garage selling one product. Now they operate out of two production facilities based in Maryland. Artsy Couture also offers prints, wall art, USB drives and more! 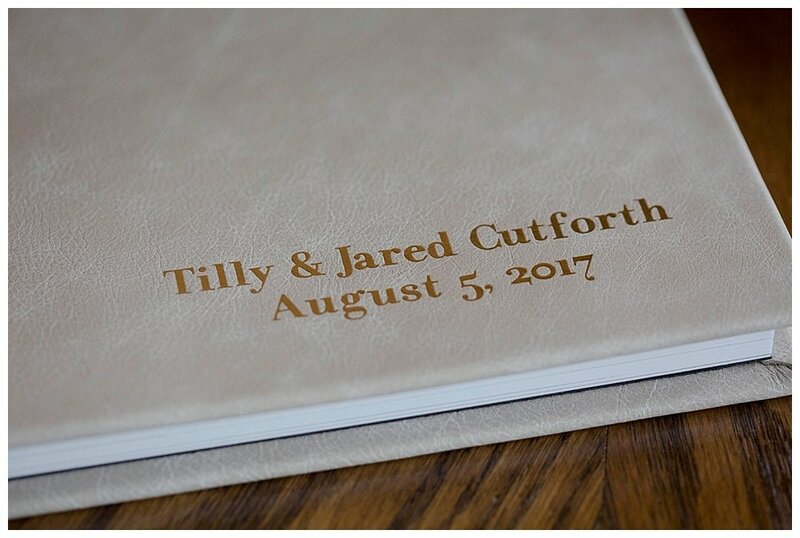 I also can’t wait to present it to Tilly and Jared in just a few days! 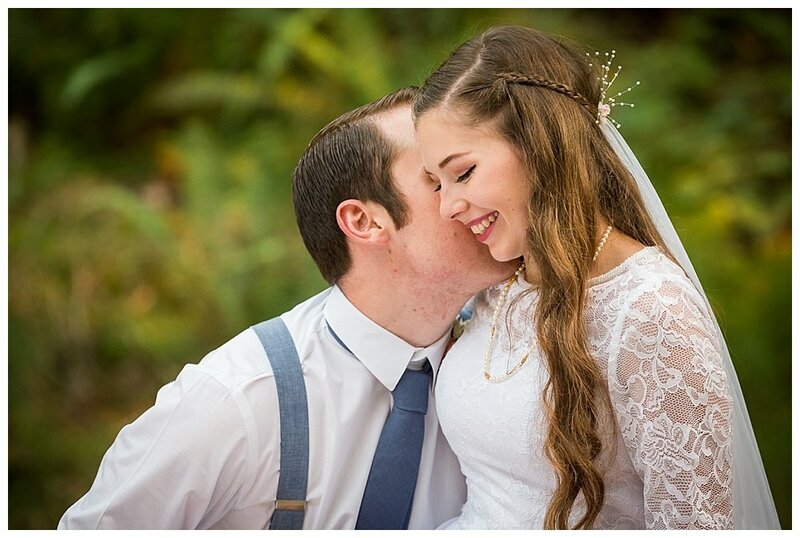 And now….the five minute highlight reel from Tilly and Jared’s wedding. PSA: Watch the boquet toss carefully. Wasn’t it beautiful? I was so happy for them both! I just watched the video- wow, it was beautiful! My sister recently got engaged and I’m helping her plan the wedding. I had NO idea how much weddings cost (I might be naive….). Do you have any tips or suggestions on planning a wedding? I know you guys have had 2 daughters married semi-recently so was just wondering! Oh, wow, this is a great question! I’ll think about this and come back with more info.